Winter is coming, and you need new gear. Whether your looking for a whole new setup or just a used pair of skis for your ever-growing kids, we’ve got the equipment you need even on a budget. Typically our new items are brought in by vendors across Ontario who are looking to sell their excess stock of equipment to make way for this years new equipment, giving you the opportunity to get brand new equipment for a great deal! Equipment can range from XC-Skis, Alpine Skis & Snowboards, Boots, Bindings, Poles, Helmets, outerwear and more. Need to offload some old equipment? 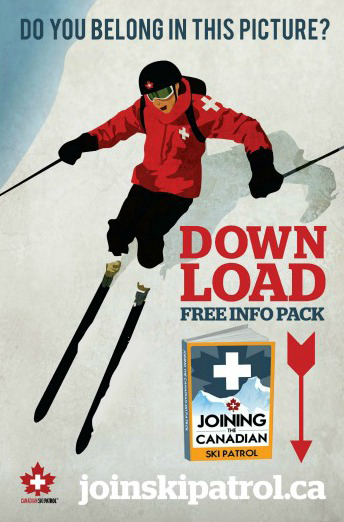 The Canadian Ski Patrol will attempt to sell your items on consignment. Just bring your items in Friday evening and Saturday until noon at the times posted below. We take a $2 per item registration fee to enter your item into the sale as long as the item is in good working order. Sorry, we cannot accept helmets or straight-skis into the sale. If your item sells, we mail you a cheque and take a consignment fee that goes directly into purchasing first aid supplies for the upcoming ski season. Want to join our Alpine or Nordic Patrol? Check out or information page or email our recruitment officer. During the sale hours you can find us in the Hidden Valley Highlands Chalet, and ask about our first aid courses, or what it’s like to be a Canadian Ski Patroller.